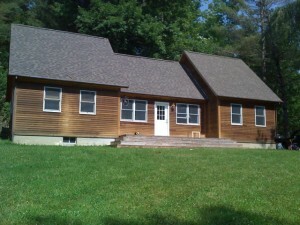 Quaint four bedroom, two and half bathroom home located minutes from Stowe Village. This well priced cedar home was built new in 2005 and has an excellent layout. The open living room allows for wonderful morning sunlight and an easy flow into the kitchen. The large eat-in kitchen features stainless steel appliances, with a 36 inch range, and a pantry. There are two full bedrooms on the main level as well as a full bath and laundry room/half bath. The second floor has a bedroom with a three quarter bath as well as a master bedroom. Located between the two bedrooms is an open den. This home has low taxes and is located on a level lot with a well proportion lawn and open deck. The house is being sold furnished, with some exceptions. Call today.